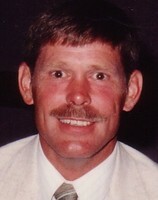 CHARLES E. BOLTEN, 55, of Sealy, died Feb. 8, 2005 in Katy. Visitation will be Fri., Feb. 11, 2005 from 5 pm until 8 pm with Prayer service at 7pm from Knesek Bros. Funeral Chapel, 768 Fourth St. in Sealy (979)885-3535. Funeral Services will be Sat., Feb. 12, 2005 at 2pm from Trinity Lutheran Church, 402 Atchinson in Sealy. Published in the Houston Chronicle from 2/10/2005 - 2/11/2005. Click here to see CHARLES E.'s last Profile entry.